On 17th August, Cullen Omori will release his follow-up album 'The Diet' via Sub Pop Records. The album swirls in with the psychedelic filtered opening of "Four Years", hinting at the what's to come with the rest of the album, which explores influences of modern indie-rock, 70's art rock and classic songwriting. Omori has created a fantastic set of 12 tracks, which should be appreciated from start to finish with kaleidoscopic spectacles. "I named the album The Diet because to go on a diet, you cut back on certain things and regulate your intake of others. The idea that you can do that means you must have a surplus of whatever you’re trying to limit. I was so emotionally and spiritually drained, and my only surplus was a bunch of negative feelings and a lot of self-loathing. I tried to limit and confront those feelings in ways that I felt were productive. A big part of that was suppressing the obstructive, unnecessary minutiae that comes with being, or rather trying to be, a ‘professional musician,’ and beginning to write music with no pretense again.” recalls Omori. "...If I was going to write this about someone, even in vague terms, I thought it would be interesting to intertwine their perception of themselves and of our relationship." His brand new video for the song "Happiness Reigns" (above) was directed by Sarah Strunin and is a dreamy example of guitar-infused power pop, with lyrics that evoke imagery of an oscillating journey through love, leaving you singing "flowers of uranium". This however, is the closest that Omori gets to the ideology of a classic love song on the album. 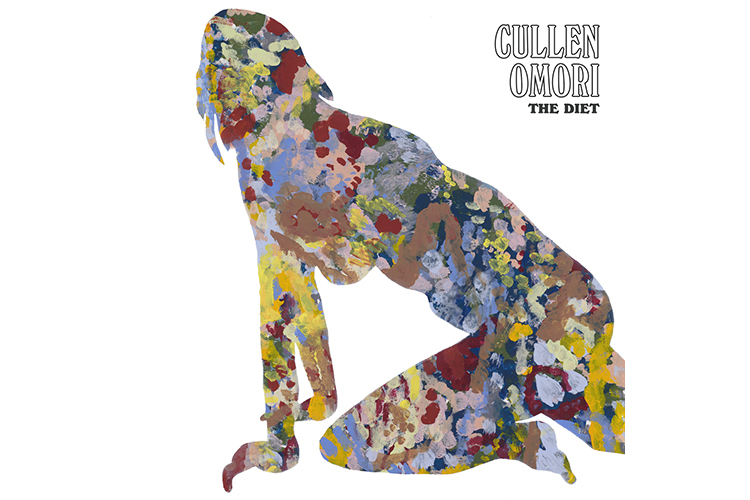 The Diet was recorded with Taylor Locke, who approached Omori after Cullen had played a short acoustic set at Los Angeles' The Echo—a meeting that made a frustrating night fruitful. "I’m in the patio area, sulking, thinking I just embarrassed myself with a new set of songs that didn’t translate to anyone in the room, and this guy comes up to me and introduces himself," Omori recalls. "He’s like, 'I thought the show was great. Would you want to try recording these?' Something in his demeanor felt confident —I trusted that he got it." The Diet represents a new chapter for the former Smith Westerns member (the band that spawned Whitney), one in which he stretches out his songwriting chops and uses his life experience to craft loose-limbed, hook-filled songs that combine pop appeal with finely sutured lyrics. ‘The Diet’ is now available for preorder through Sub Pop [buy here]. LP pre-orders through megamart.subpop.com will receive the limited Loser edition on lavender swirl vinyl (while supplies last). UK and European pre-orders of the limited Loser edition LP will be available on purple vinyl from select independent retailers (while supplies last).